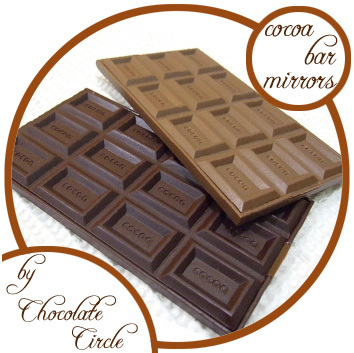 • Impress your friends and colleagues with this Brand New Cocoa Bar Compact Mirror! 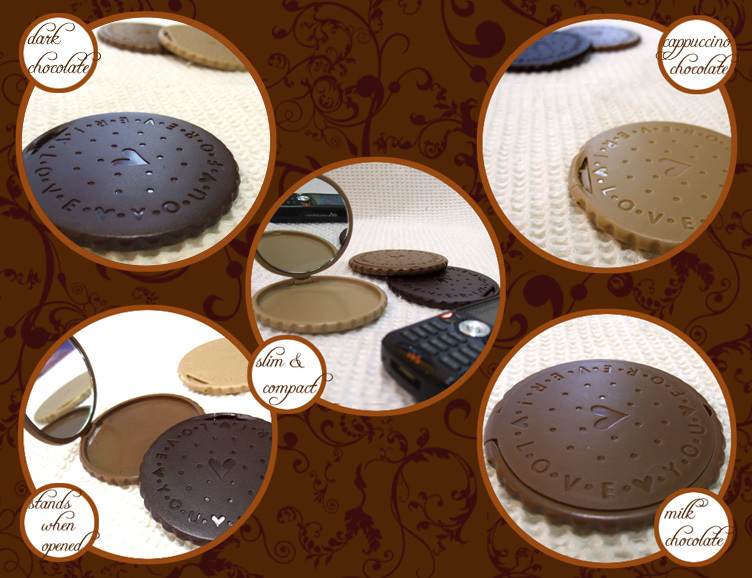 • It is slim and light-weighted; suitable for you to carry around in your handbag or even your backpocket! 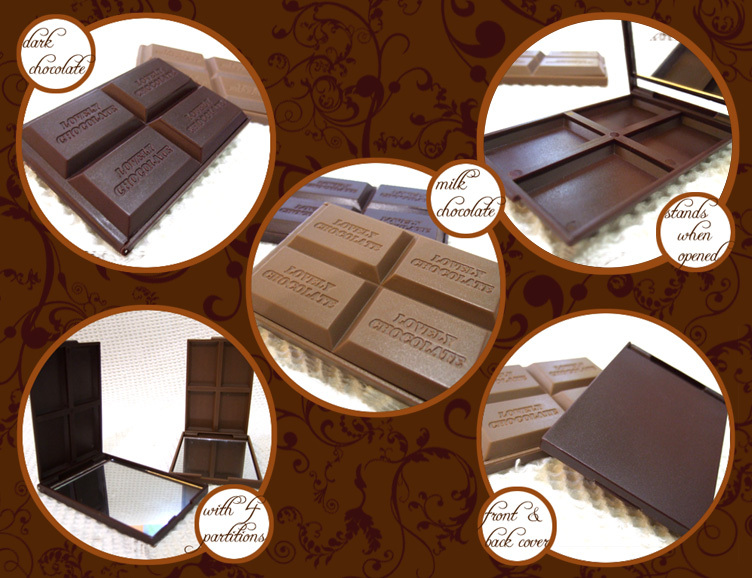 • Best choice as gifts for friends who enjoy chocolate and desserts or simply those with a sense of humor and creativity! 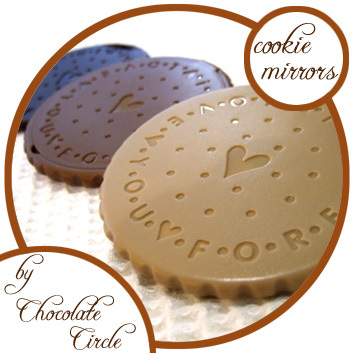 • Impress your friends and colleagues with this Brand New Cookie-shaped Compact Mirror! 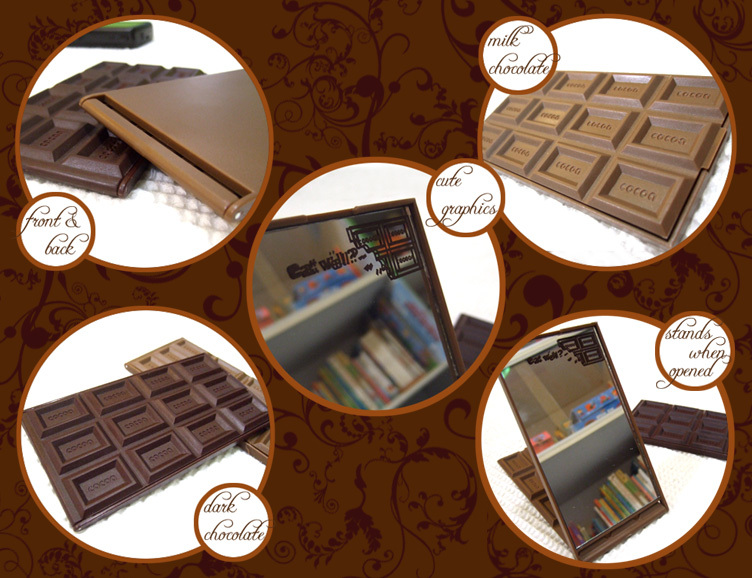 • Best choice as Christmas gifts for friends who enjoy chocolate and cookies or simply those with a sense of humor and creativity! 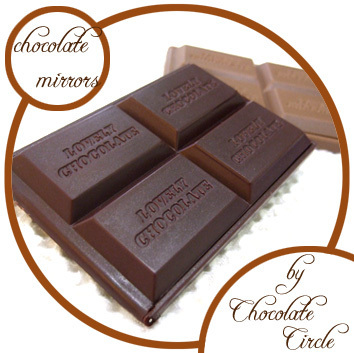 • Impress your friends and colleagues with this Brand New Chocolate Bar Compact Mirror! US$7.00 including shipping. Leave us a comment or ask a question below.